The world never stops evolving. This is very evident in the systems of payment. From barter system, to gold, to coins, to paper money, to cheque, etc, we have seen the various generational transformations of the concept of money. And now comes another evolution. It's the digital currency. In the words of Pastor Favor Sunano, CEO of GS Insider, "Crypto money is taking over as a worldwide legal tender. And it is wiser now to get on board; because if you miss the opportunity, then you should just wait for rapture". 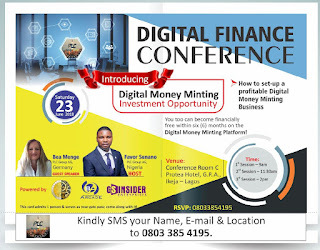 So here's the biggest opportunity to get involved and start a profitable business in digital money minting. 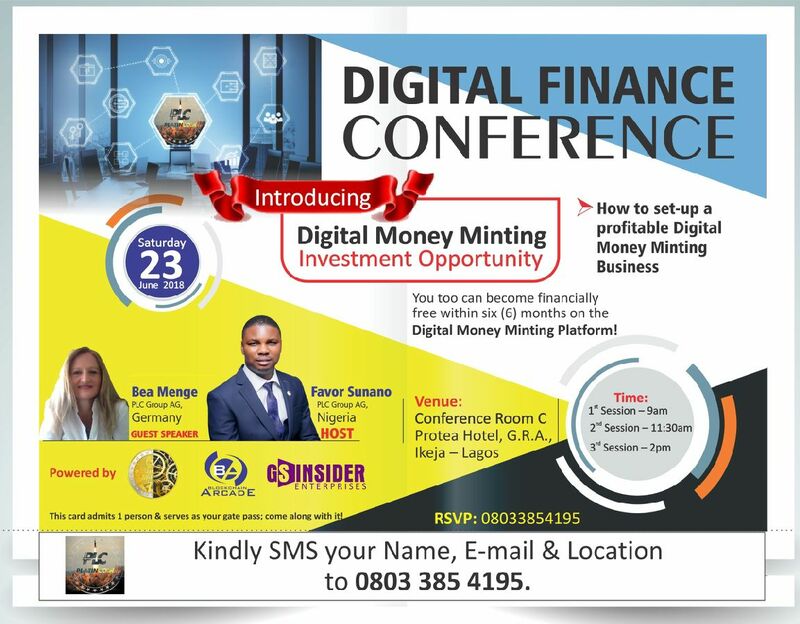 Attend the Digital Finance Conference, on June 23, 2018, at Protea hotel, Ikeja, to learn much more. Visit the link below, to register for free. You can also register at the venue, for free.